A left footed half forward who came from Marist Brothers College, Burnie, Oborne was a stylish mover whose career seemed over when he was cleared to Claremont (WA) as part of a swap for Kevin Worthington. He did so well that he was given a second chance, and later went on to coach VFA club Williamstown. 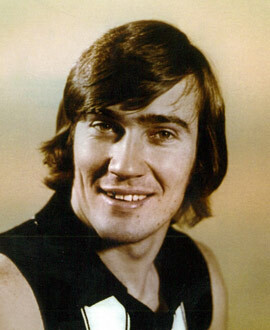 Oborne’s son, Brad, was recruited to Collingwood under the father-son rule at the end of 1998 and played five games over the next two seasons.